The TTL safehome is staying busy and crowded! Two babies leave, four more arrive. We now have 13! Let me introduce you to the new babies in the playroom. 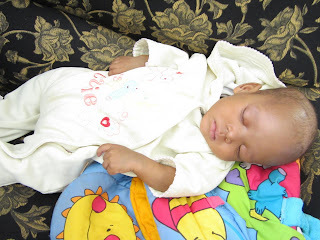 MAMELLO – Mamello has been at the safehome for almost two weeks. Her mother passed away and her grandmother, who is now her primary caregiver, is paralyzed and unable to care for her right now. Mamello is HIV+ and on antiretroviral therapy. She is a happy kid, eating well and walking on her own. PUSO – Puso was brought to the TTL safehome at the end of last week. He is five months old and small for his age. He tested positive for HIV and will begin antiretroviral therapy this week. He is a curious baby, constantly checking out any action going on around him. PELAELO - Pelaelo is our newest safehome member, arriving just in time for dinner last night. He was brought to the outreach workers who were picking up Thatohatsi's mother to bring her to the hospital yesterday. Pelaelo lives in a neighboring village to Thatohatsi (a 3 1/2 hour drive from Mokhotlong). 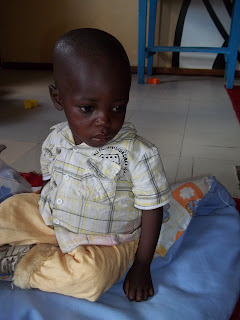 3 years old, Pelaelo is malnourished and has been sick much of his short life. He tested positive for HIV this month and TTL will help him get started on ART as soon as possible. 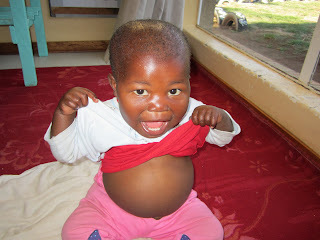 THATOHATSI – Thatohatsi is the baby girl who Rachel wrote about picking up in her last post. She spent one night in the safehome before she was admitted to the hospital because of her cough, fever, and respiratory problems. She was also vomiting after eating. She is a tiny 3 month-old, weighing only 2.1 kg (about 4.6 lbs.). Sadly, Thatohatsi’s twin was also sick and died last week. Thatohatsi's mother joined her at the hospital last night where she is receiving IV antibiotics and being closely monitored. When she is discharged from the hospital she will return to the safehome. Happy Thanksgiving to everyone in the States! Being at TTL makes me realize just how much I have to be grateful for, and how often I take it all for granted. Thank you for all of your support and have a wonderful holiday.